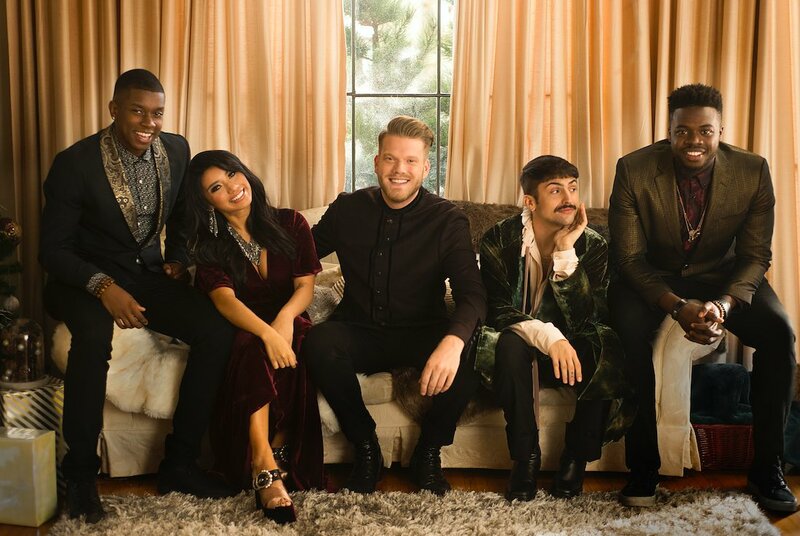 Pentatonix has a new bass and all is right in the world! Well, at least for the holiday season. In a tweet featured on the aca-group's Twitter page this past Friday, the quartet announced that they will once again be returning to quintet status. And who better to join their ranks than a former member of one of the world's top a cappella groups? Matt Sallee, an alum of Berklee's Pitch Slapped, will join the group for their holiday performances as a fill-in bass. Back in May, Avi Kaplan announced his departure from Pentatonix in an emotional video that shocked not only the aca-community, but the music world as well. Kaplan's final show with the group took place in Vermont back in early September. Since then, many wondered what would become of the superstar vocal group. Would Kaplan be replaced? Would Pentatonix simply remain a quartet? Would the group disband? Rumors began circulating back in August via social media that Matt Sallee would be the group's newest member, but nothing official had been released till this past week. Having joined Pitch Slapped back in 2012, Sallee comes to Pentatonix with quite the vocal resume. He was a member during the group's 2014 ICCA-run, which ultimately saw them crowned as the champions. He would later go on to sing with esteemed vocal pioneers, The House Jacks. Along the way, he has the shared the stage with such artists such as Jessie J and Jill Scott. No word has been made as to if this will be a permanent replacement, but for now, aca-fans can relish in the fact that Pentatonix will be back to full force for the next few months. To hear the amazing voice of Matt Sallee, check out the videos below.